A model similar to mine. The Brux Project was initially inspired by the Russian River Brewing and Sierra Nevada Brewing collaboration beer: Brux Domesticated Wild Ale. I obtained a case and decided to taste one every 6 months to track its development. So far, I'm 10 bottles into the initial project with 2 more to go. While this was the first beer in the project, I've since added several beers into my cellar to be tracked over time. Most of these beers would qualify as wild or sour ales featuring the Brettanomyces yeast strain, the most famous of which is Brettanomyces Bruxellensis. While the Brett yeast strain is present in most of the beers I like to cellar, it's not required. Some of the beers I'll be cellaring will just use standard yeast. Even with standard yeast, many beers are very age-worthy and will develop interesting characteristics over time. All the beers being cellared in a temperature controlled Vinotemp wine cooler. The temperature is kept around 55 degrees Fahrenheit with the appropriate humidity level. Orval is the granddaddy of them all when it comes to modern Brett beers. First brewed in the early 1930's, Orval sought to brew something completely different than the other Trappist abbeys were at the time. Through a happy accident of a Brett infection, they succeeded! The original project! This is a Belgian-style Golden Ale brewed with Brettanomyces Bruxellensis created by Russian River Brewing and Sierra Nevada Brewing. It was only released one time in 2012. Created to celebrate the brewery's upgrade/expansion, Boon Vat 44 is a special release Geuze aged in a single Foeder then bottle conditioned for a longer than normal period. Bottle no. 6 review will be up soon! 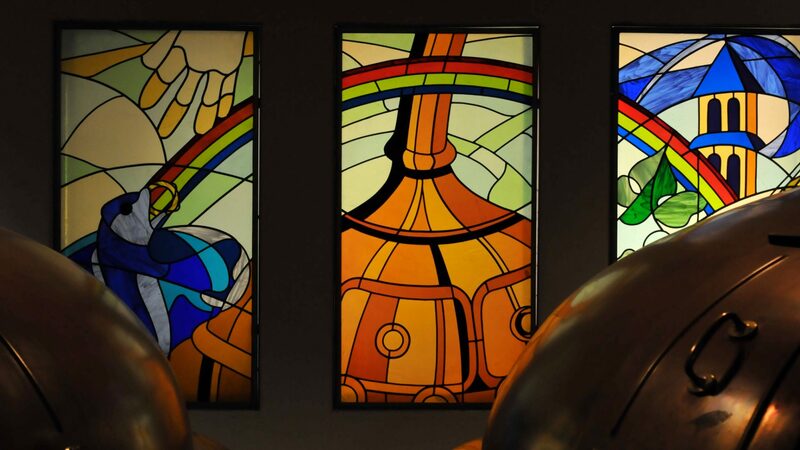 Orval's famed beer has inspired many brewers to make a beer in homage to the Belgian Trappist's classic beer. This is Pfriem Family Brewers' attempt at creating an Orval like beer. So far, this version was only brewed once in 2015. This is the newest version of Pfriem's homage to Orval. It's using a slightly different strain of Brettanomyces Bruxellensis. It's one that they've isolated as their house strain because of it's flavor and production profile. Bottle no. 2 review appearing soon! Stay tuned for the review of bottle no. 4! Pfriem's Brett Wit is a throwback to an older style of Belgian Wit/Blanche prior to their yeast being cleaned up. This beer is a bottle conditioned version of their house Wit with a nice kick of the house brett. Westvleteren XII is one of the most sought after beers in the world and one of the hardest to obtain. You can only get it legally at the abbey's shop in West Flanders, although there is a thriving "gray market." This beer is, by many, considered to be a quintessential Belgian Quadrupel. Dark, rich, and yeasty; Westvleteren XII is often a favorite of beer agers.